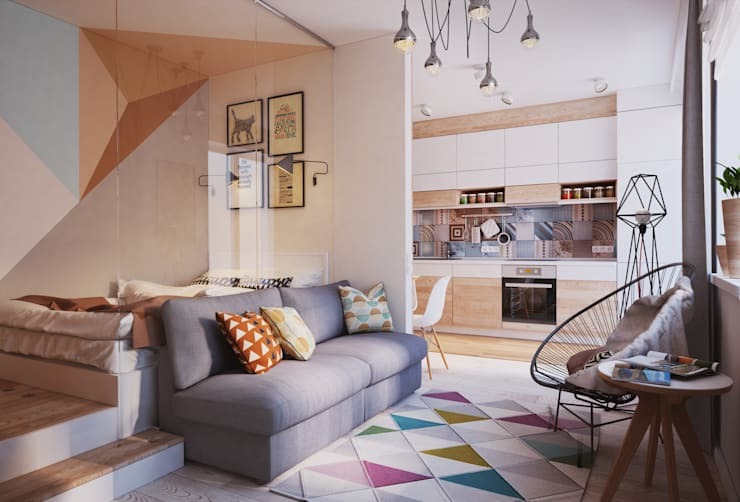 A one-room apartment can feel cosy, fun and plush with a clever layout and some smart furnishings. It might even feel like it contains totally separate living spaces if you get it right. But how can this be achieved when you're scratching around for space or have an unusually-shaped room? Well, the first issue will be identifying your main traffic zones so you can keep them clear. The next priority will be figuring out how to separate the living space from the sleeping area. So let's get on with exploring a few solutions with some inspirational little homes. There's sure to be something here to help! 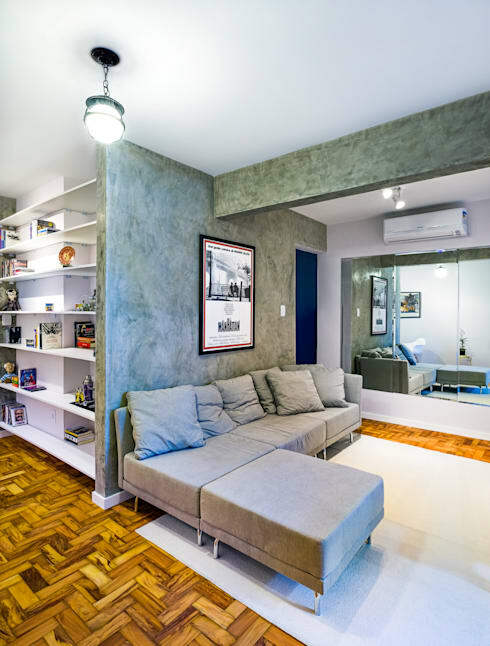 This wonderful little apartment has a little sleeping nook or bedroom behind the sofa. It's separated from the living room with a glass wall that invites lots of light into the sleeping area and helps avoid the claustrophobic feeling of sleeping in such a small windowless area. But if you are looking for a more temporary solution, glass or transparent furniture is always a good investment in a small home. 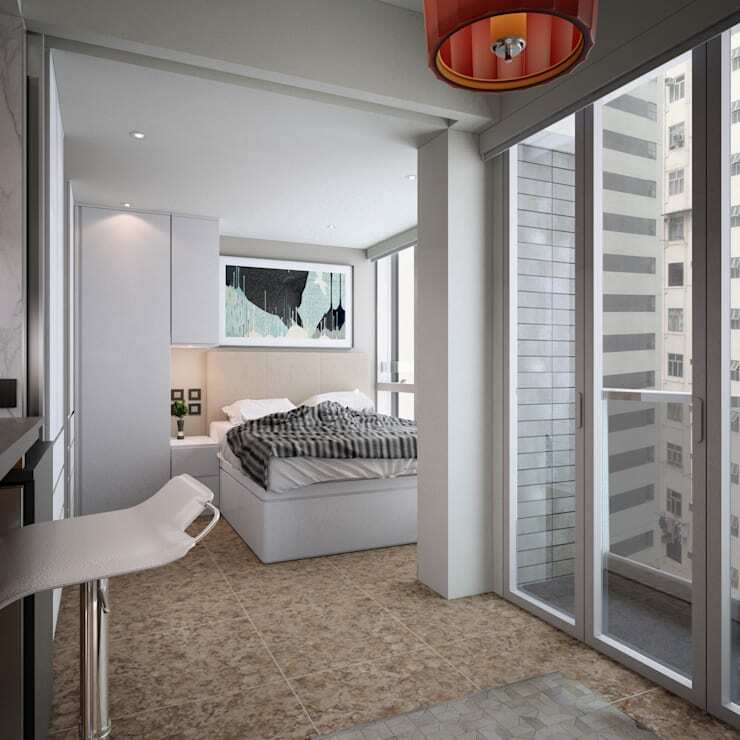 Most one-room apartments will have some architectural features that naturally divide the space. Windows, doorways and quirky little corners can be utilised to create a division of space. The sleeping area in this home has been created by making the most of a half-wall and some windows. It comes to us courtesy of Hong Kong interior designer Nelson W Design. The back of a sofa can always be used to separate a living space. 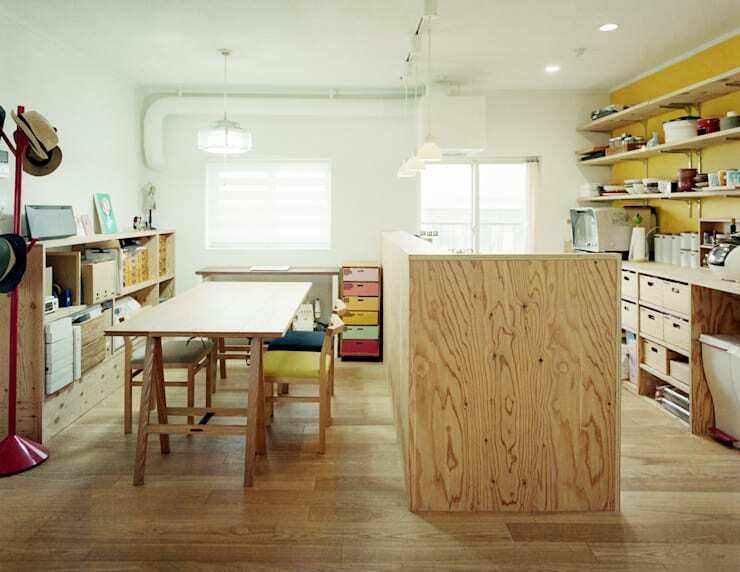 Yet it could also be butted up against a kitchen bench like this to create space. This frees up the walkways and makes the home feel that bit bigger and more open. Interior decorators often advise those with small homes to stay away from larger sofas. But a corner sofa can often be used to separate space. That extra corner unit will also make a small home feel that bit more comfortable and welcoming. 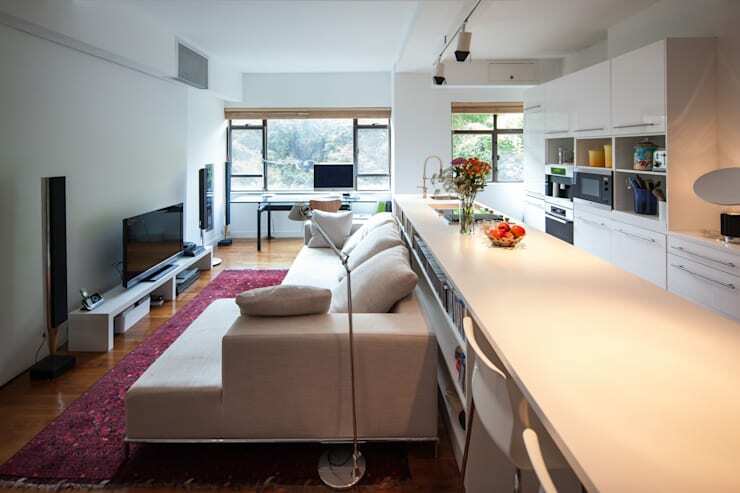 Nothing beats a minimalist approach to organising a one-room apartment. 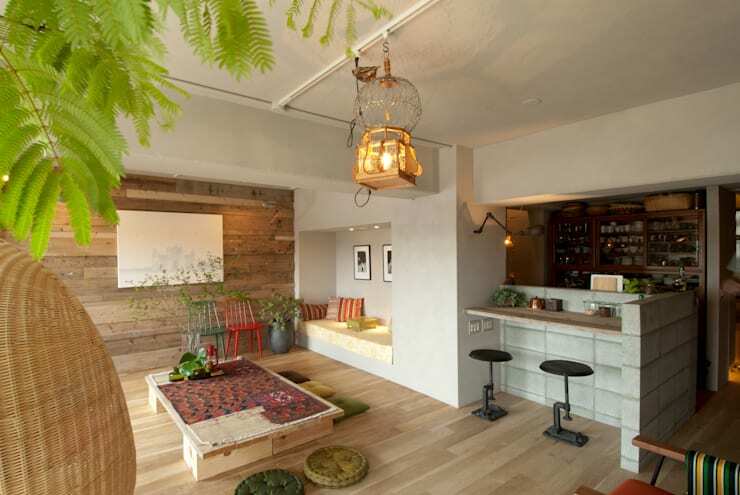 This living room has a small built-in bench that takes up very little space and a Japanese style dining room. Temporary dividing walls aren't always the best approach because they often block light and make a one-room apartment feel small. Another approach is to lay out the apartment so each living area has its own particular wall treatments. 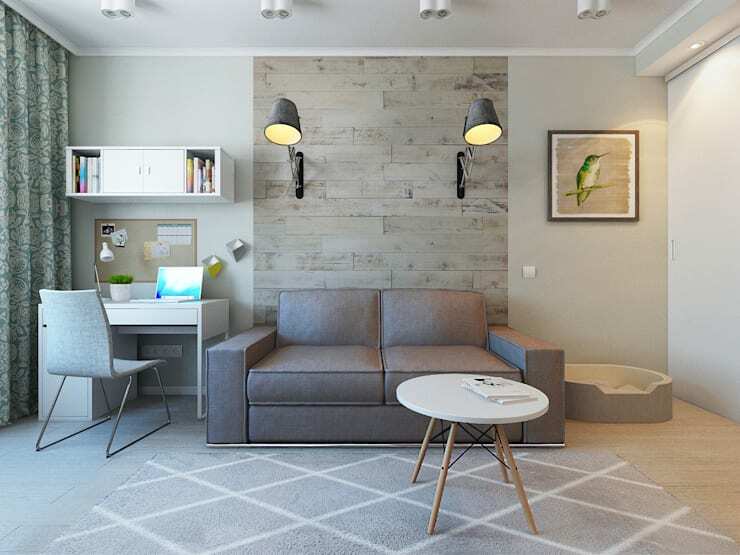 This little room has a standard layout, but the wallpaper and wall-mounted lights make for a striking effect. A multilevel platform on the floor is a fabulous way to lay out your apartment. The various levels could be used to delineate the boundaries of the bedroom, sleeping area and kitchen area. If you are searching for a simpler approach, a sleeping platform is always a good idea. Every design needs symmetry and pattern to feel cohesive. So it's often a good idea to line up the dining table so it runs parallel to the kitchen bench. 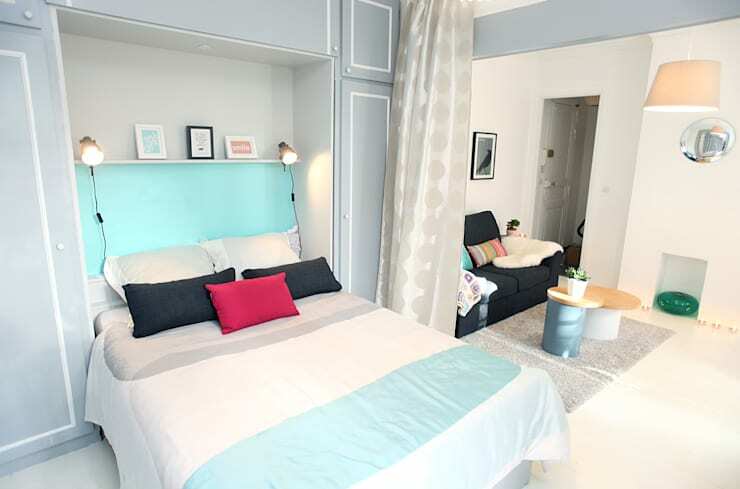 The bed and sofa in this one room apartment have been arranged so they both face out towards the windows. This helps create a psychological boundary around each area and makes the room feel that bit bigger. 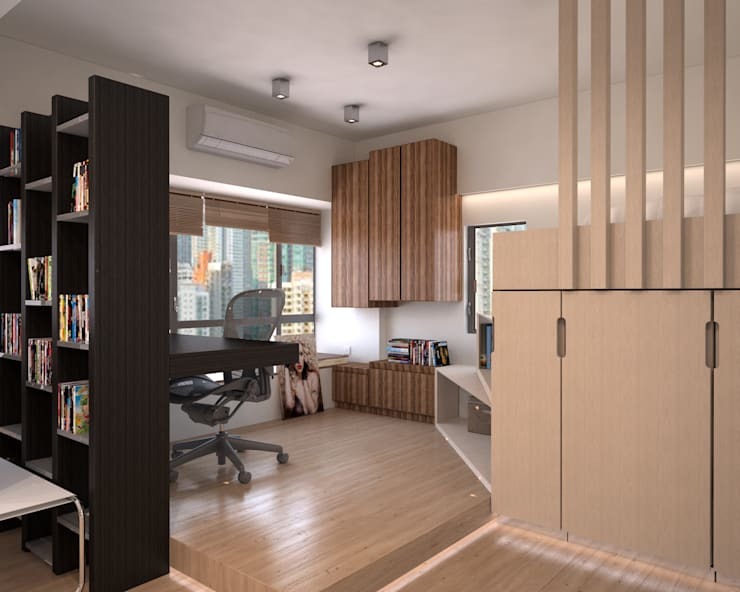 For more inspiration, check out 9 stylish ways to create a bedroom partition. If you have any more tips for organising a one-room apartment, share them with our readers in the comments field below!